Find what others are saying about Casually Elegant Weddings and let us hear from you today! 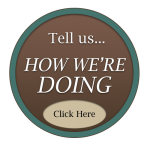 Click the badges to get to our company page and view our company profile and see what our past clients have to say about us. The more feedback we get, the better we can serve our customers.